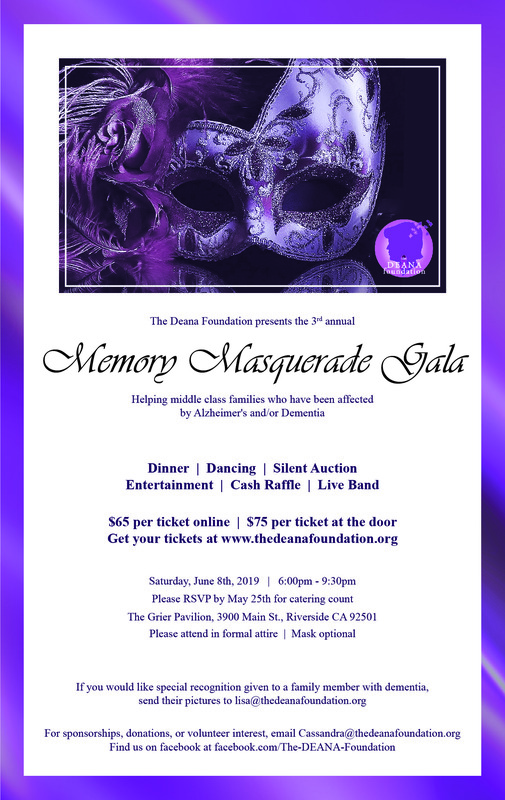 Please join us for our 3rd annual Memory Masquerade Gala! 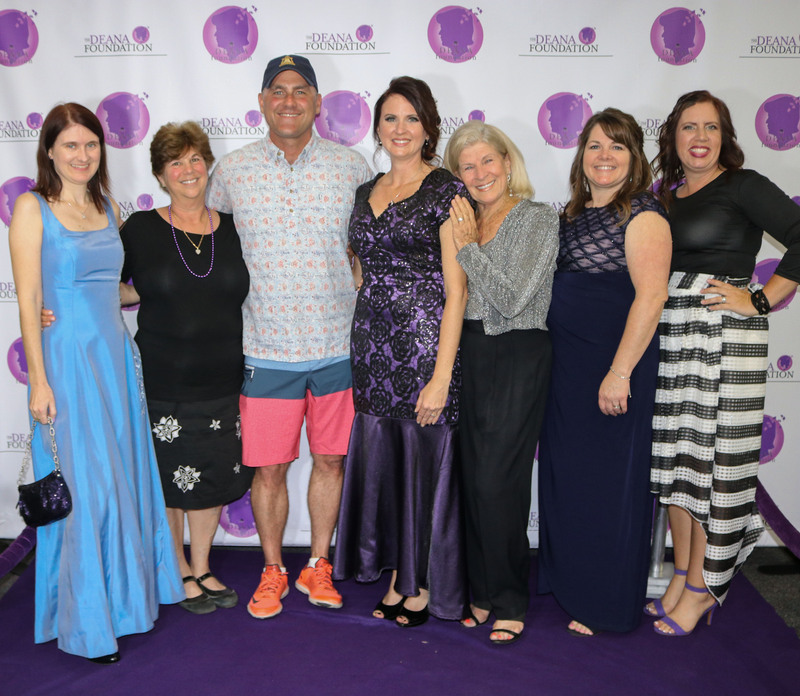 The Memory Masquerade Gala is an elegant evening where we unite together for two common purposes: to honor those affected by the disease, and raise money for our caregiving grant program. The event features magical entertainment, hors d-oeuvre and cocktail hour, a silent auction, a catered dinner, photo booth, dancing and a live band. We also have a special presentation to honor our loved ones who have been affected by dementia. Please arrive by 6:00 pm to take advantage of all the wonderful events of the evening! We want to honor your loved one! If you have a loved one who is currently living with or who has lost their life to dementia, please send photos to lisa@thedeanafoundation.org. We need one photo of them alone (any favorite photo), plus 3-5 additional photos that can include other people. Please include their name, form of dementia (if they have a specific variant), the year they were born and either the year they passed (if applicable), or just note “living with dementia”. We are always looking for donations and sponsorships for this wonderful event. Please contact Cassandra (email address on flyer) or visit our Sponsors Page for a form. 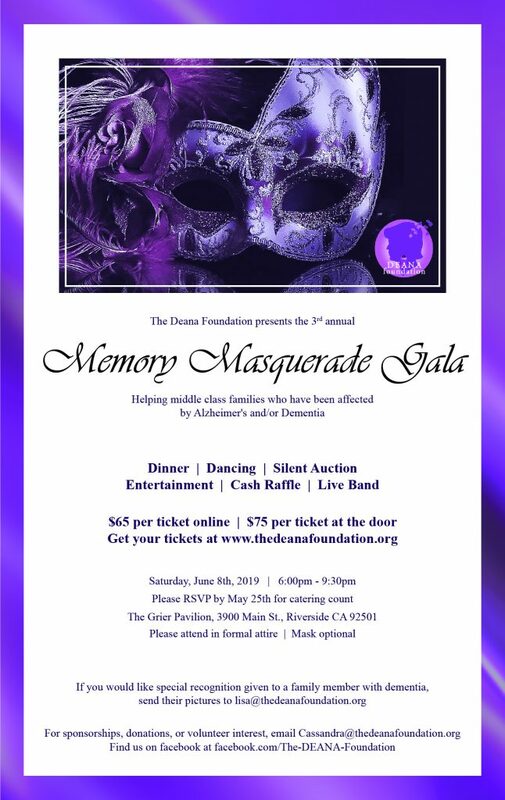 Purchase your Memory Masquerade tickets HERE. We have a lot of exciting events planned for this year! We need volunteers to make this happen! If you are interested in volunteering, please contact us. Currently, we are looking for a chairperson for our annual Karaoke for a Cause, as well as chairpersons for other events. Do you have an idea for an event? Let us know!